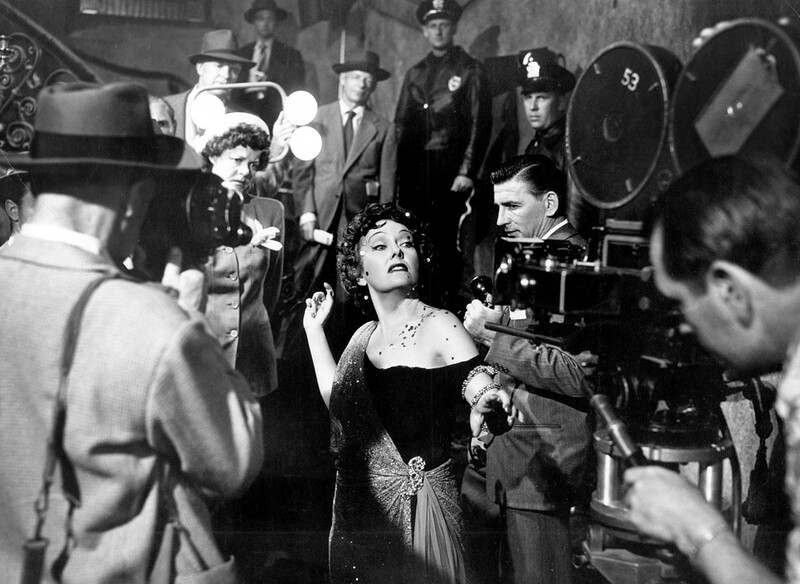 Once summed up by Time as “Hollywood at its worst told by Hollywood at its best,” the iconic noir Sunset Boulevard earned widespread acclaim upon its release in 1950 and has never left the cinematic conversation, popping up in recent history as an influence on everything from Twin Peaks to The Disaster Artist: My Life Inside The Room, the Greatest Bad Movie Ever Made. An epic reminder to always keep your vehicle in proper working order, the Oscar winner stars William Holden as a Joe Gillis, a down-and-out screenwriter who has a blowout and hides his car on the property of Norma Desmond (Gloria Swanson), a forgotten silent movie star in the midst of a downward spiral. Faced with diminishing possibilities, Gillis reluctantly moves into Desmond’s garage apartment and accepts a job editing a screenplay she’s written as an attempted comeback — a Biblical epic starring herself as Salomé. Before long, Gillis finds himself a kept man tangled up in a delusional web bound by “a longterm contract with no options.” The final collaboration between director Billy Wilder and writer Charles Brackett, the timeless classic boasts iconic quotes (“No one ever leaves a star” and “I’m ready for my closeup, Mr. DeMille” among them) and, furthering the dark commentary on the Hollywood machine, appearances by the likes of director Cecil B. DeMille, gossip maven Hedda Hopper and silent-film heavyweight Buster Keaton. If you’ve never seen it, this free outdoor screening at the San Antonio Botanical Garden (complete with a cash bar) promises a memorable introduction to what’s considered one of the greatest films of all time.